Anyway, this is the most that I have had to do with any sewing machine. I had never messed with one, or even knew what any of the parts were called or did. When I was standing in Wal-Mart looking over the handful of machines they had, I had no idea what I was looking for. The reason I ended up with the Singer Simple is because another newbie in a forum I was in had gotten one and was fairly pleased with it. So, there ya go. Upon unwrapping it from the box, it was simple enough to figure out. There were a couple of informational booklets, warranty & registration cards, and a plastic cover for the machine. Then of course there was also the machine itself and a cord with a pedal attached. The cord plugged into the machine and ran to the pedal where another cord ran out of the pedal and plugged into the wall. The on /off switch is a simple toggle switch on the side next to where the cord plugs into the machine. Then it got complicated. I didn’t know anything about the rest of it. A DVD came with the machine that instructed me on the basics of the machine, how to wind a bobbin and insert it, and then how to thread the machine and get started. I bought a couple of yards of just plain fabric at the store and 11.5 yards of some 1.1 oz ripstop. I cut little sections of the regular fabric and just practiced sewing some straight lines. I also played around with some of the different stitch patterns. After a few days I decided to try and sew on a little of the ripstop. I first attempted some stuff sacks. They turned out half decent. I made some all different sizes. Some for sleeping bags, some a little smaller for hammocks, and some small enough for tent stakes. Over the course of a few weeks I decided to try and sew some small hammocks for my kids and for my wife. (This fabric wouldn’t hold me up.) They are actually very simple to make since all I did was sew a seam along each of the edges. They turned out well, and led me to attempt a bug bivy. I had purchased a few yards of silnylon and some no-see-um mesh. I made a bug bivy similar to the MLD Bug Bivy. It was quite a bit more difficult sewing the mesh to the silnylon, but I eventually got it. It did not turn out to be the prettiest thing but it did turn out, and it weighs 8 oz on my scale! So far I have not had any problems out of the machine that were actually problems. The first night I had it I thought I had messed up the timing on it, but the next morning I just realized that I did not have the bobbin pressed all the way in while trying to use it. (Boy did I feel dumb!) Anyway, so far I like the machine. While I don’t know enough about the machine to say if I would recommend it I can say I haven’t found any reason not to. It seems to be durable enough for what I am using it for so far, and it seems to run pretty smoothly. The only problems so far have definitely been operator error. Some future projects I have planned are some down (backpacking) quilts. I plan on buying the materials from Thru-Hiker using plans similar to Neatomans DIY Quilts. When I decide to do this I will definitely post the progress and results here. Until then…….. I bought this Singer 2263 sewing machine. At first I really loved it. Then I started having problems with the thread bunching under the fabric. I tried everything, and I mean everything. So far what I have figured out that is causing the problem is the bobbin itself. I didn’t realize that you had to have a certain bobbin for this machine. Metal bobbins get stuck in the bobbin housing unit and it almost impossible to get them out. Which is strange because that’s what came with my machine. I then tried a clear bobbin, but instead of it having 2 small holes for the thread to go into it had 1 small slit. It fits in there nicely. However every time I’ve use it I end up with a mess under my fabric. Next I bought some clear ones that are slightly beveled on the tops. Got the same results. i did have 1 clear bobbin from an old machine that I had and that bobbins works perfectly. Its also completely flat on the sides. I don’t know why but it seems to make a difference. Next time I’m in a store I am going to look for bobbins that are flat. I hope this helps some of you with the bunching problem. I know this is older post, but was wandering over the last few years what you think about your Singer Simple. I make a lot of my own stuff and have used an old hand me down Singer but it’s died now. Curious on your thoughts. Thanks man and love your blog site. Don’t Comment much here but follow your site reqularly. And thanks for the support. Glad to hear that you have enjoyed my site. I appreciate you stopping by and commenting! oh my this is why i bought another machine.. the bobbin jamming up on my brother machine.. grrr i hope i don’t have this problem with this one, i haven’t even taken it out of the box yet.. i do know it matters the direction the bobbin is in when you put it in the bobbin casing.. and i check the bobbin casing screw cause sometimes it is too tight or too lose and causes bobbin hang ups too.. but that is my brother machine.. I am a DIYer and I learned to sew doing PowWow clothes for scouts. The older machines are great if they are taken care of and you get them from someone you know. When you buy an auction machine or thrift store machine you might get into money trouble as repair shops charge $75 to $150 for a simple “clean and time” and even more for repairs. The first time you try down quilting you will probably feel like you are herding bubbles with the floating feathers that seem to go everywhere! My mother showed me the basics on a Sears Kenmore 40 years ago but every time I do something new it makes me realize how much I need to learn besides patience. I still have yet to do a big project with my sewing machines, other than stuff sacks and other small stuff. I typically sew silnylon, which can be tough at times. But oh well, I figure it is good practice. 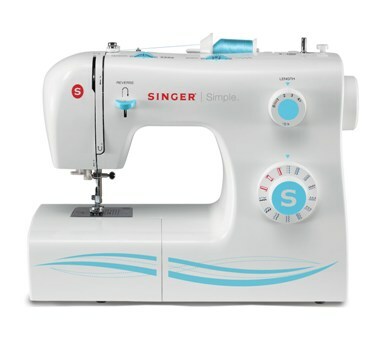 I guess for now the Singer Simple will do fine for what I am doing, but if I ever go to the bigger projects, or at least using it more I will probably look into getting an older one that is still running good… I do though plan on making a down quilt one day, just not sure when. But the materials I will use will be light-weight (probably momentum) and I hope that this machine will be ok for that. My family gave me the Singer Simple 2263 for my birthday. But every time I start a new project I have to go through a time of clearing jams from underneath in the bobbin area. I usually end up wasting alot of thread as I thread & re-thread the top part and the bobbin. The instructional DVD is no help. Gab, sorry to hear that you are having problems. I wish that I could tell you how to fix it for sure, but I cannot. The only thing that I would recommend is to make sure the bobbin is wound correctly and neatly and that it is loaded into the bottom of the machine correctly and in the right direction. I would also check to make sure that the bobbin is pushed all the way in (it should click, unless the handle on the bobbin is out). Next make sure that the top is spooled correctly and without any kinks and that the correct amount of tension is set for the top spool. Also, be sure that when you finish a project you leave enough thread hanging out from the top and bottom, and when you get started with each new hem, be sure to keep tension pulled on both threads until the hem is started, then be sure to keep tension on the material. Hope that this helps a little. Good luck! I have this same machine (a gift for me as well) and I found that if you don’t fill the bobbin all the way but maybe 1/2 to 3/4 it does better with that problem, though doesn’t fix it all together. I’ve also had issues with getting the bobbin to click right into the machine so I would check that. I am not a novice with sewing as my mom felt it was an essential skill (thanks Mom!) so if anyone is having issues with this machine it might not be totally a skill thing. My mom spoiled me growing up with a wonderful 1970’s singer that just sang in comparison. I wish I had another old machine like that again! A small brush comes with this sewing machine, when you stop or start a new project if you just take out the bob on and brush or lightly blow out the dust it will help. The fabric gets stuck because your tension needs to be adjusted a bit. Only know this from a lot of experience. I have this machine and I love it. I have sewn a lot of different fabrics and repurposed a lot of clothes in all kind of fabrics including a sweater I crocheted fir my granddaughter. Although it says simple, it does as much as a higher end machine except for a serger but a nice zig zag can do the same stitch. You just need to remember to change the knob for stretch material. Everything you want to sew can be found on YouTube with complete videos and many tutorials. When the foot gets in the way take it off and let the feet guide the stitch just see slowly with slippery fabrics. Or use the other foot inside the little container. I just bought the same sewing machine. I also have no sewing experience & learned in 30 min to make my first hammock. I’m so far satisfied with it but I suspect it doesn’t hold up & perform like a high quality machine if no other reason than the cost. I am currently working on a design for my first quilt too. I’m interested on wether or not you still like this machine. I’m a total novice at sewing and looking for a beginner machine. Please please take no offense, but the fact that you’re a male intrigued me. I give the male species the benefit of the doubt…lol..just unusual to see them blogging about sewing machines. If you had to buy another sewing machine all over again, knowing what you know,would you pick this one again? Thanks for your time.